Directory: Dev Shed >> Tools >> TRAM. TRAM: These are animations of characters. 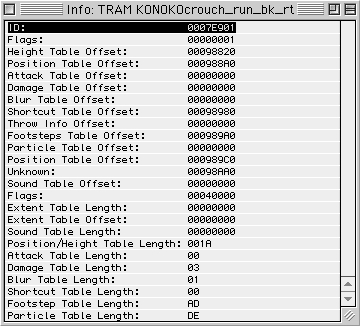 Some characters don't use all possible animations in StNA resource mentioned above; thus not that many TRAMs are needed for a character.